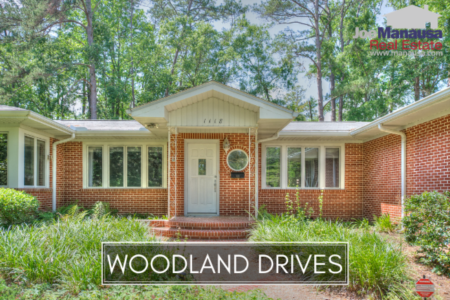 Woodland Drives is a downtown Tallahassee neighborhood featuring some of the oldest homes in Leon County. If you desire convenience to everything without giving up on a large yard, make sure you shop homes for sale in Woodland Drives (when they are available). Buyers who want quick access to downtown, shopping, night life and the Capitol Building will absolutely love the Woodland Drives neighborhood. Demand for this neighborhood is high, but this year most homeowners have wanted to stay put. Only one home has sold, and one home has recently hit the market for sale. It is important to note that the narrative contained below is for sales through December for all previous years, but through the fourth week of July in 2017. The graphs and the closed sales table will be continuously updated into the future (meaning bookmark this page if you always want to know the current status of homes in the Woodland Drives). Only one home has sold in Woodland Drives this year, and it went for $225,000. The number of homes selling in Woodland Drives has been declining since 2015, the end of a four year run of relatively high turnover. It appears as if Woodland Drives residents are very comfortable living in this incredible neighborhood. This year, only 2 homes have entered the market and one is already closed and gone. The other is a relatively recent arrival that went under contract right away, but has recently come back on the market. 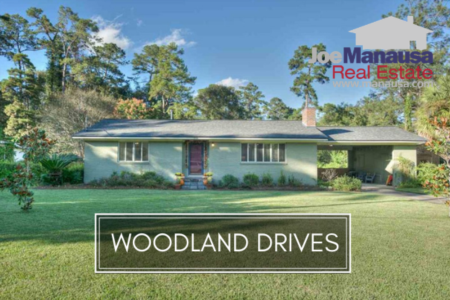 Average home values in Woodland Drives are definitely rising, but it will take current homeowners deciding to move to prove it! The one home sold this year went for $116 per square foot, roughly 6% higher than last year's average. Unlike most neighborhoods in Tallahassee, the diversity of home sizes and ages in Woodlands Drives, combined with low liquidity, means that we'll see values move up and down a bit erratically. This is not a sign of a changing market, rather it merely is the result of "not enough data." 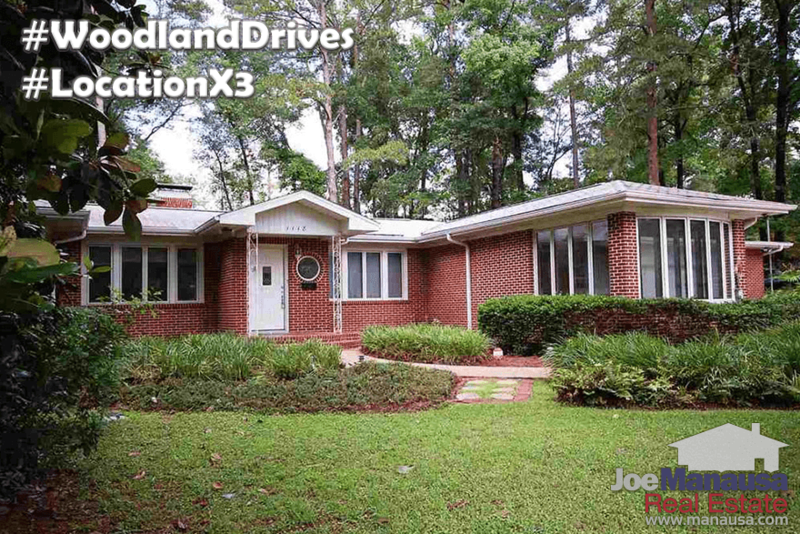 Work with an expert when buying in Woodland Drives, and jump on opportunities when they are well below current averages. The average home size sold in Woodland Drives typically falls in a range of 1,600 to 2,200 square feet, and this year's one home sale is right in the middle of this range at 1943 square feet. The following list shows more than 400 home sales in Woodland Drives going back to 1991. I hope you gained insight with our July 2017 update on home sales in Woodland Drives, please feel free to drop me a note if you have questions not covered in this report.